Learn simple binding techniques to make a pamphlet book and a Japanese stab bound book to use as a journal or notebook with artist Claire Gladstone. 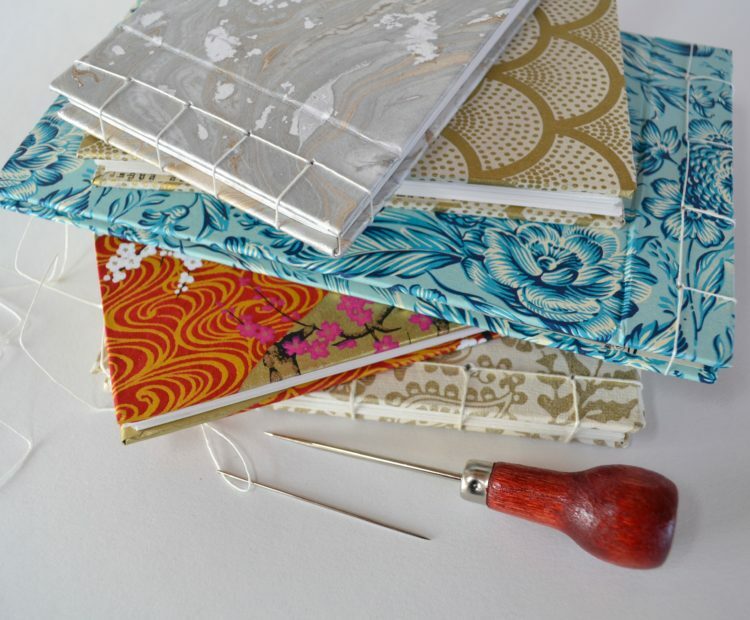 We will look at examples of handmade journals and artists books, learn paper folds and teach skills for you to continue binding at home. All materials are provided. *Do bring along any interesting papers you would like to use for your covers. Maximum 12 people, places must be booked.